Tyler Clementi took his own life. Anniversaries always have a significance. They force us to take a look back — to remember where we were and who we were at a certain point in our own history. They also challenge us to remember what the world around us was like at on that day and in that moment. If we reflect deeply enough, we think about how things have changed since that time — either in the way of progress, or sometimes unfortunately we realize only regression. 1 Year ago today, 18 year old Tyler Clementi committed suicide by jumping off of the George Washington Bridge. 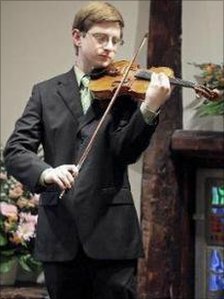 At the time, he was a talented violinist full of potential. He was a Freshman at Rutgers University for not even a month…and he was gay. Much like in the case of any suicide, it’s dangerous and flat-out incorrect to simplify the reasons for the act, but the story that would engulf this young man’s memory would make two fellow Freshmen the villains. Dharum Ravi was his new roommate and Molly Wei was his friend. They hid a web cam in the room Ravi shared with Clementi, and captured footage of him making out with another boy. They decided to broadcast this footage over the internet for anyone to see, and tweeted about it to get extra attention. Several days later, Tyler Clementi killed himself. What Tyler didn’t know at the time of his death, nor did anyone else, is that his story would spearhead a complex and controversial international debate about how we treat each other, the haunting consequences of bullying, the depths of teen depression, and the ugly issue of homophobia. In the months to follow, these issues would come to the very forefront of not only American society, but politics as well. 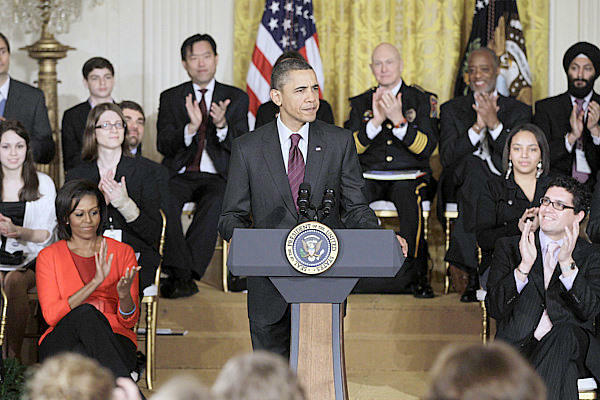 President Obama’s Anti-Bullying Summit in March would draw unprecedented attention to federal anti-bullying initiatives and would try to bring some semblance of control and order to a fiery national debate. State legislatures would start enacting tough anti-bullying laws and policies, none stricter than in Clementi’s home…here in New Jersey. Students in High Schools and Colleges all across America would hold vigils in Clementi’s honor and anti-bullying and anti-homophobia protests. Within each American home, these topics would become typical discussion at the dinner table…with questions such as, “What is bullying?” or “What is sexting?” sparking vague discussion. There is no equation to bullying, or clean definition — the issue is complex, ugly, and undefinable. Those involved in a heated confrontation are often so immersed that they don’t know they even are bullying, or possibly adding fuel to its fire. One thing is always for sure though…the victim always knows exactly what role they’ve been cast in. For me personally, this tragedy took on a greater significance. As a filmmaker, one of the topics and subjects I’ve innately always focused my work on is the causes and consequent overcoming of depression. I too am a Rutgers graduate, and things I was witnessing around me during my sophomore year inspired me to use that summer to write the film “Wasteland.” The film’s story focused on four characters struggling with issues of identity, loss, and love in the modern college landscape — one of which would ultimately take their own life. At the time, nobody had webcams, texting was still fairly new, and Facebook and Twitter where nowhere to be found. Then, in 2008 I was given the great privilege of writing and directing the film “Sticks & Stones,” which dealt with the then, fairly new issue of cyberbullying — and how one average boy’s life would be shredded by a torrent of relentless attacks from the students he shared his days with. It’s fairly safe to say, that throughout the last decade of my life I’ve used whatever creative talent I’ve been given to address these issues. Rutgers is my school, New Jersey is my home. I wasn’t just saddened, I was angry. I felt like it shouldn’t happen here. The truth is, it shouldn’t happen ANYWHERE. I’ve dedicated much of the last year trying to develop new ways to prevent this type of tragedy from happening. Working with other individuals now just as dedicated to this mission, we’re finding ways to confront the issues kids like Tyler feel they are all alone with at an end that is so tragically premature. A year since his death I wonder how much we’ve really learned — and I challenge you to consider that we all, still have far to go. In today’s America, it seems we rush to quick judgments and easy, neat solutions to complex issues. We choose to wait and react to a situation (which often turns into a dramatic overreaction), instead of anticipating and being preventative. We race to find the cause and effect, such as.. A gay boy was bullied so he killed himself, or the best way to beat a bully is to ignore him, or punch him in the mouth. Case closed, right? We want the assurance that we understand everything there is to know about an issue because we read one article or watch one CNN special, but we don’t. We look for the external causes of and reasons for tragedy without ever looking inward to consider what WE could be doing to effect the greater issue for the better. Right now, Tyler Clementi should be a sophomore at Rutgers. He should still be creating music, he should be discovering the person he’s supposed to become. He shouldn’t be stuck in an inescapable moment, he should be imagining the future he wants for himself. He should know that no matter what he’s dealing with, that he’s never alone. Maybe during our next national discussion on “bullying,” we should forget about the laws, penalties, and proposed repercussions and think about this simple idea. It’s not something a government can provide, but it is something a society can. But it means that each and every one of us has to stop focusing on the struggle in front of us and instead stopping and start searching for the reasons upstream. I encourage you to tell us what you’re doing to confront bullying in your own life. Sign up to join our mission at http://www.facebook.com/cweducation and tell us your story. ~ by Dan Fabrizio on September 22, 2011.